The Travelling Lindfields: 72 Hours in Cape Town: The best things to see and do. 72 Hours in Cape Town: The best things to see and do. Cape Town has drawn us back. A year and a half after our first experience of the capital of South Africa's Western Cape, we couldn't resist another visit. What is it about Cape Town's eclectic mix of African and European culture which is so compelling? Last visit we had only two days to explore the city, much of it spent in a jet-lag induced haze. This time, armed with a couple of Cape Town Passes, we were determined to see all the things we missed. Our Cape Town Passes gave us entry to the city's best attractions and the phone app which came with them worked like a travel guide with descriptions and photos of each attraction and turn by turn directions showing how to get to them. 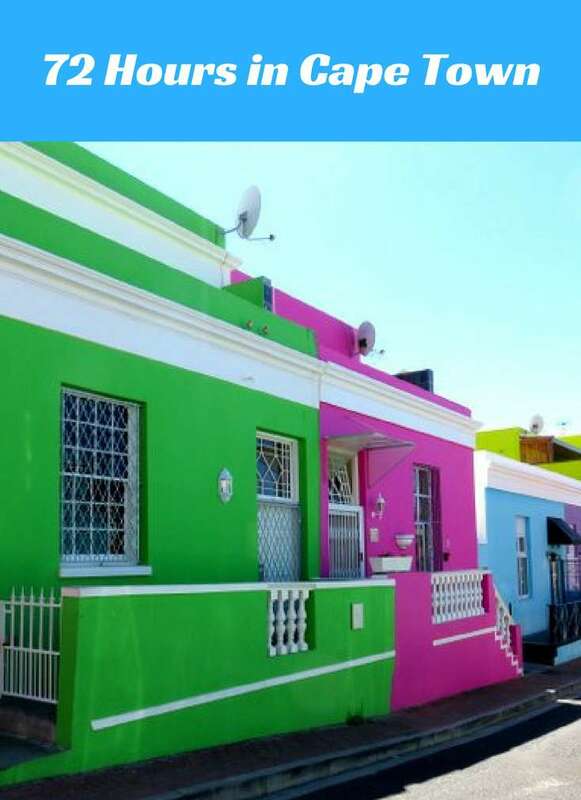 Bo Kaap - This district of brightly coloured terraces became home to the descendants of Muslim slaves brought to Sth Africa in the early years of Dutch rule. Today you can still hear the calls to prayer ringing out each morning and evening. Wale Street has a particularly photogenic stretch of houses. 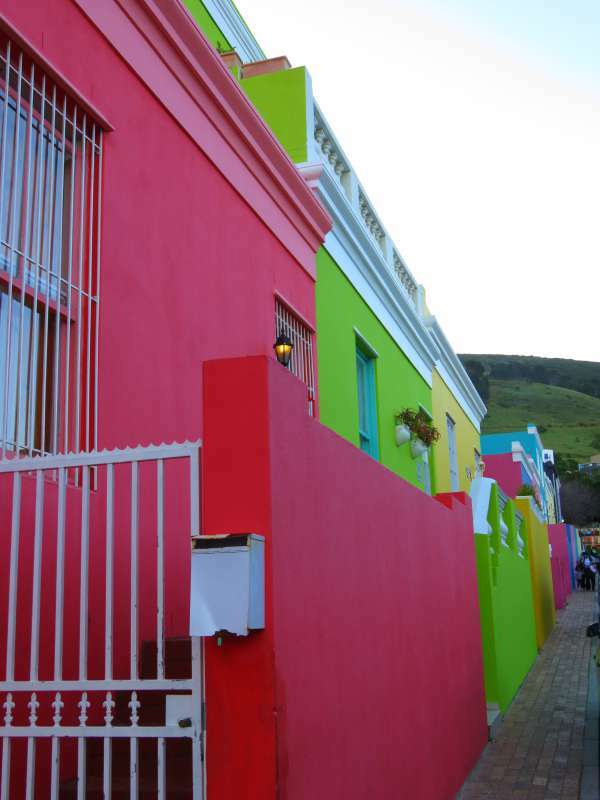 My tip - If you happen to be staying at the Hilton, Bo Kaap is right next door. Ask for a room overlooking Wale Street and you can wake up to the view of Bo Kaap set against the background of Table Mountain. 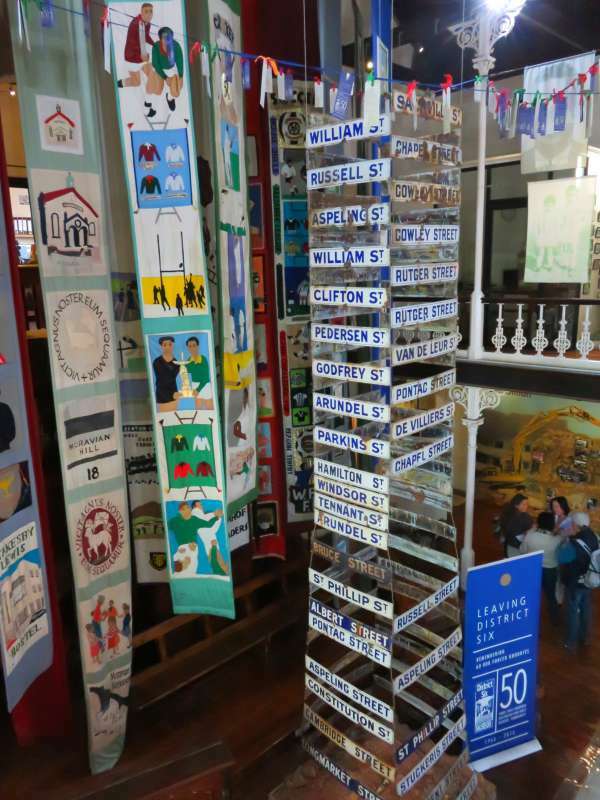 The District Six Museum - Are you old enough to remember the dark days of Apartheid; when as far away as Australia, the nightly news was filled with scenes of a country engulfed in turmoil? 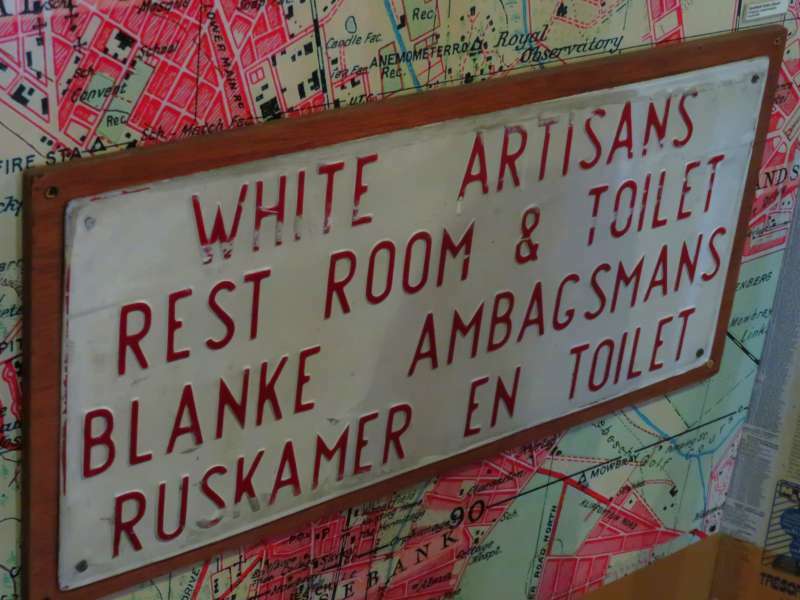 More than 60,000, mostly coloured, residents were forcibly removed from their homes when District Six was designated a 'whites only area' under the Apartheid Regime's Group Areas Act. International condemnation made it difficult for the district to be redeveloped and so instead of a 'white' area District Six became a wasteland. The District Six Museum tells the stories of those who were dispossessed. Entry to the District Six Museum was included in our Cape Town Passes. 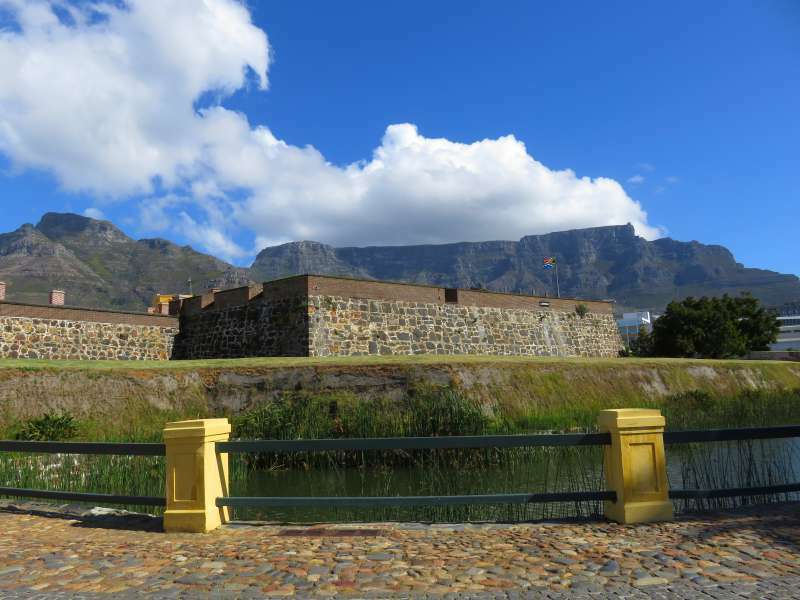 The Castle of Good Hope - Five minutes on foot from the District Six Museum is The Castle of Good Hope. The Castle was built between 1666 and 1679 as a fortified headquarters for the Dutch East India Company ('VOC'). The VOC was to the 17th Century what Google and Amazon are to today's world - a massive behemoth dwarfing all opposition. In its heyday it was the largest commercial enterprise on the planet. With a fleet of hundreds of ships and thousands of employees it was a formidable business, political and military organisation. Formed to profit from the spice trade between Europe and (modern day) Indonesia it eclipsed its rivals for almost 200 years. The Castle of Good Hope is the oldest surviving colonial building in Sth Africa. On the outside its hexagonal fortifications dominate the landscape. The impressive external presence leads to a slightly disappointing interior. There isn't a lot to see inside, but there was no way I was going to miss having a peek behind those impressive walls. I have to confess too that I have had a fascination with the history of the Dutch East India Company since learning the awful story of the wreck of the company's flagship, Batavia, off the coast of Western Australia in 1629. For a short history of the wreck of the Batavia, its bloody aftermath and its connection to the early history of Western Australia, read my post on - The Abrolhos Islands and the Bloody Story of the Wreck of the Batavia. Did you know that long before Captain Cook discovered Australia's east coast, two of Batavia's crew were left stranded on the west coast and were probably the first Europeans to live out their lives on the continent? My tip - Try to time your visit to coincide with one of the Castle's free tours to get an overview of its place in the history of Cape Town. Entry to The Castle of Good Hope was included in our Cape Town Passes. 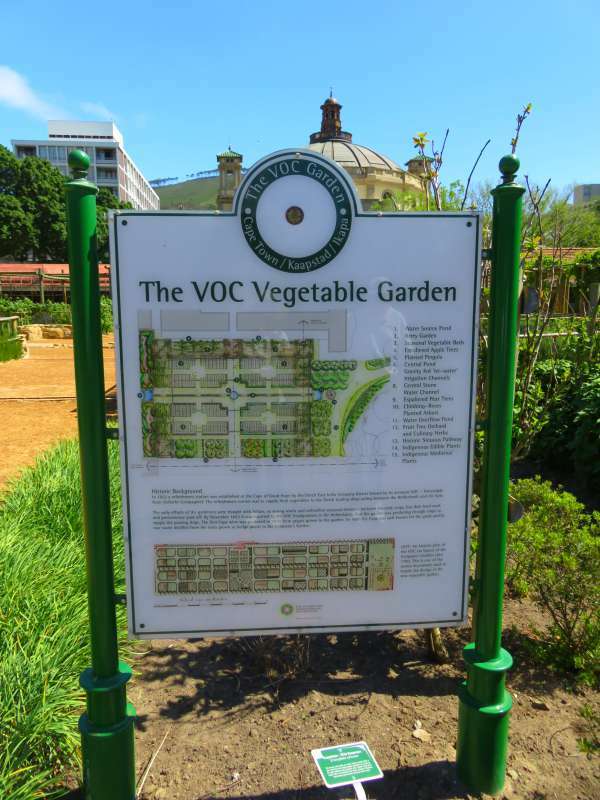 The Company Gardens - Long before Cape Town was settled, early VOC ships called in at Table Bay to trade with the local Khoikhoi (Hottentot) population for fresh provisions. It soon became apparent that a formal provisioning station was needed, and in 1652 the first European settlement at Cape Town was established and the Company Gardens were created. Today, enough of the gardens remain to make for a pleasant stroll. More significantly the gardens are surrounded, especially to the east along Government Avenue, by some of Cape Town's most impressive early colonial buildings. Cape Town Markets - Less than ten minutes walk from the Company Gardens brings you to Greenmarket Square at the corner of Longmarket St and Long St. 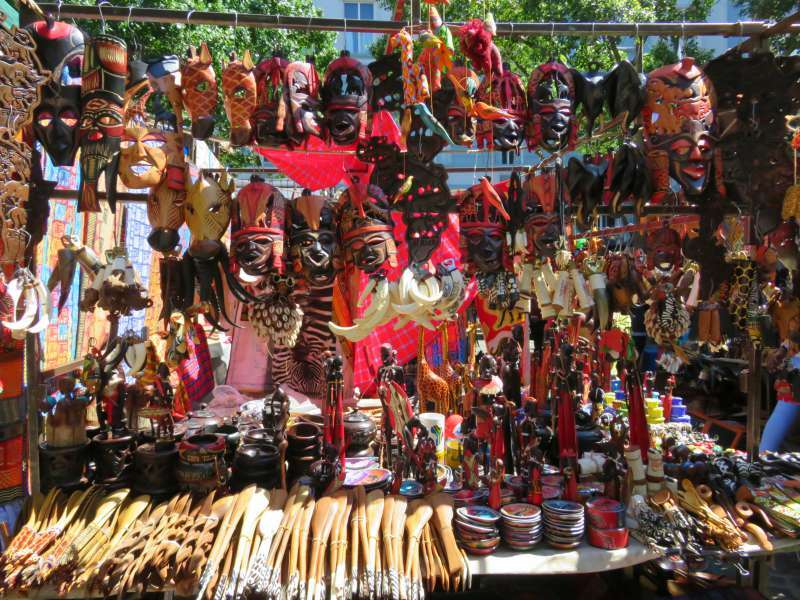 Whether you are looking for a souvenir or just want to wander through the tightly packed stalls, you can't visit Cape Town and not spend at least some time exploring the colours and buzz of an African market. On our second day in Cape Town we ventured out in a hire car. Cape Town is much easier to drive in than you would imagine. The traffic is not too busy and, for the most part, everyone obeys the road rules. Parking is simple and inexpensive. Coming from Australia we had the added bonus of driving on the left hand side of the road. My tip - If the idea of driving in a foreign city fills you with horror, the 3-day Cape Town Pass includes unlimited trips on Cape Town's MyCiti Bus Rapid Transport system. Table Mountain Aerial Cableway - I have included the Table Mountain Aerial Cableway because it is probably the iconic tourist attraction in the city but David and I didn't actually manage to go on it. All the advice we were given was to arrive early in order to beat the crowds. We completely ignored this and went in the afternoon during the school holidays on a Friday. One look at the queue and we decided it wasn't worth the effort. The fact that David has a fear of heights and is not all that crazy about cable cars probably factored into our decision a little as well. My Tip - If the queues on the Cableway are too long, drive up Signal Hill instead. It is right next to Table Mountain and the views are stunning. 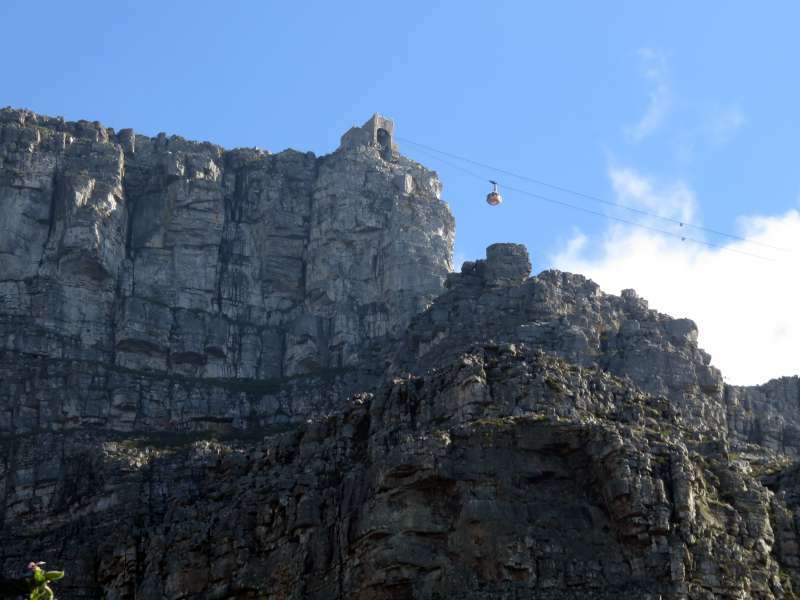 The return trip on the Table Mountain Aerial Cableway was included in our Cape Town Passes. 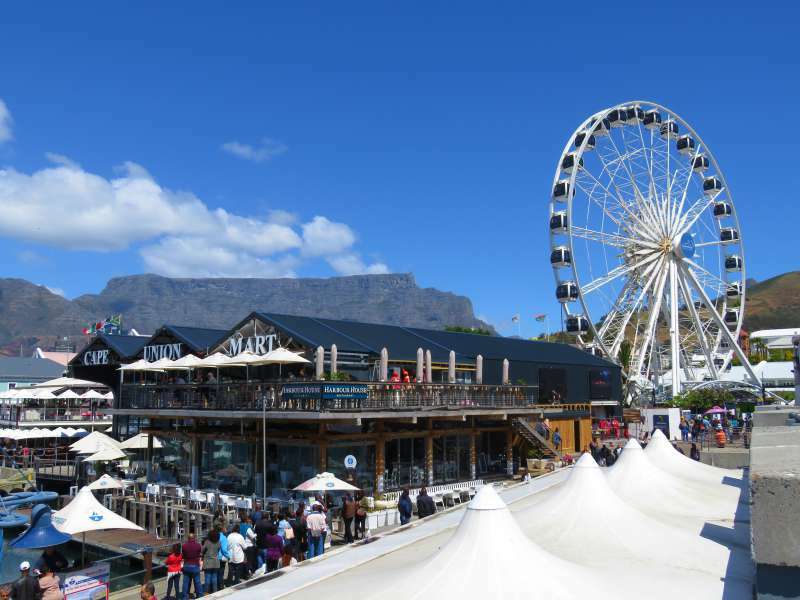 The V & A Waterfront - The V & A Waterfront is Cape Town in full 21st Century mode with ultra modern shopping centres and work spaces side by side with chic restaurants and fun street entertainment. All this is set against the stunning background of Table Mountain. We missed the V & A Waterfront entirely on our first visit but loved it so much this time we went back again and again. A quick note on Robben Island - Robben Island was the prison in which Nelson Mandela spent most of his years of incarceration. Tours depart from the V & A Waterfront and take four hours or more. David and I have not yet been to Robben Island - another reason to return to Cape Town one day. 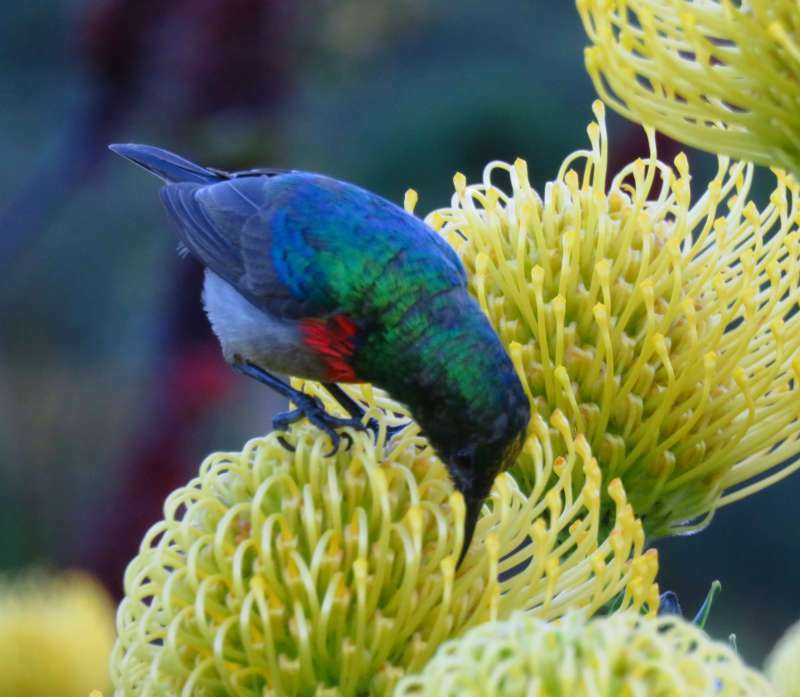 Kirstenbosch National Botanic Garden - Kirstenbosch has a reputation as the most beautiful garden in Africa. I defy anyone who visits in spring to argue with that description. All I can say is - don't miss it - and leave yourself plenty of time. The flowers are gorgeous. My tip - Visit in the first couple of weeks of October to see the flowers in full bloom. Entry to Kirstenbosch was included in our Cape Town Passes. Groot Constantia - For a taste of the Winelands without leaving suburbia, visit Groot Constantia. 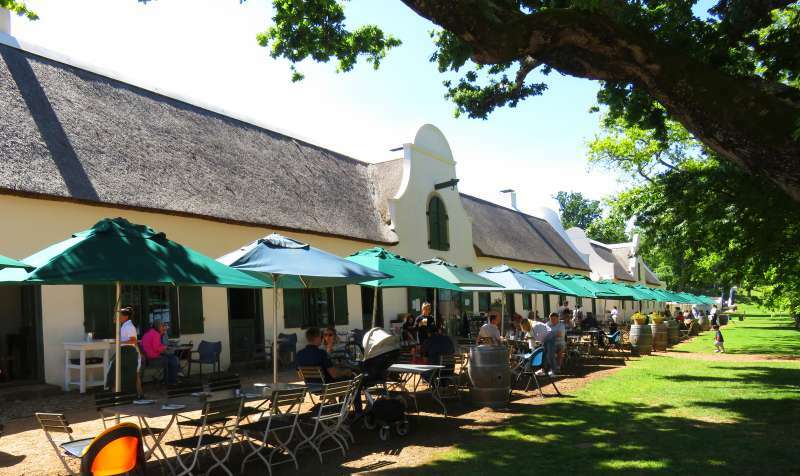 Just twenty minutes by car from the centre of the city, Groot Constantia is the oldest winery in South Africa. The manor house was built in the unique Cape Dutch style with white-washed walls, thatched roof and large attractive gables. My tip - Book a table outside for lunch at Jonkershuis Restaurant. The food is surpassed only by the view. We enjoyed it so much we went there twice. The Groot Constantia cellar tour and wine tasting are included with the Cape Town Pass. Today we ventured further afield, heading south along Chapman's Peak Drive to the tip of the Cape of Good Hope, taking in the colony of African Penguins at Boulders Beach and the colourful changing boxes at Muizenberg Beach on our return drive. 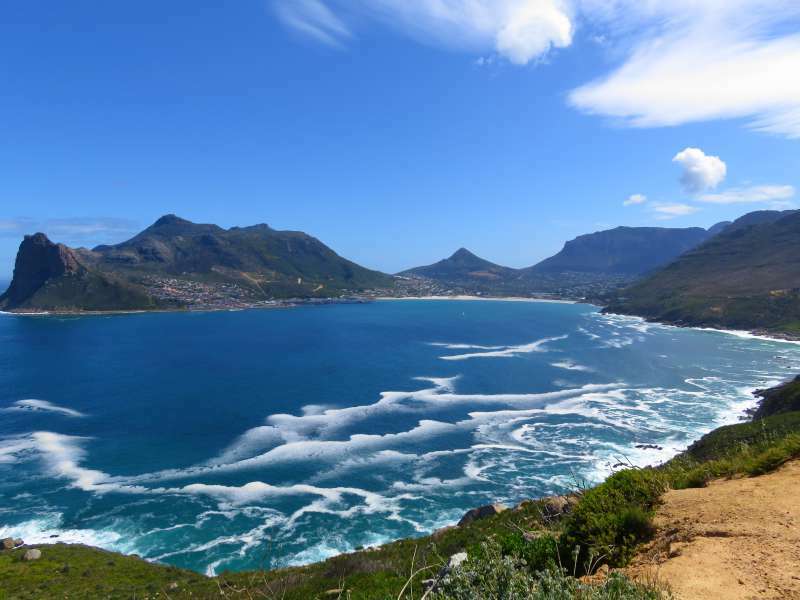 Chapman's Peak Drive - The 15 kilometres of Chapman's Peak Drive hug the edge of the cliffs along Hout Bay south of Cape Town, creating one of the world's great scenic ocean drives. There are plenty of spots to pull over and enjoy the spectacular views. The road is occasionally closed so it is worth checking the official website before you set out. There is a toll of R45. My Tip - South Africans drive on the left. If you want to be on the ocean side of the road, drive the Cape of Good Hope in a clockwise direction so that you approach Chapman's Peak Drive from the south. David and I have driven the road twice now, both times from north to south. The views are still stunning from the cliff side of the road and we had no problems pulling in to any of the ocean side viewpoints. The Cape of Good Hope and The Flying Dutchman - The southern most tip of the continent of Africa is Cape Agulhas, about 200 kilometres east of the Cape of Good Hope. 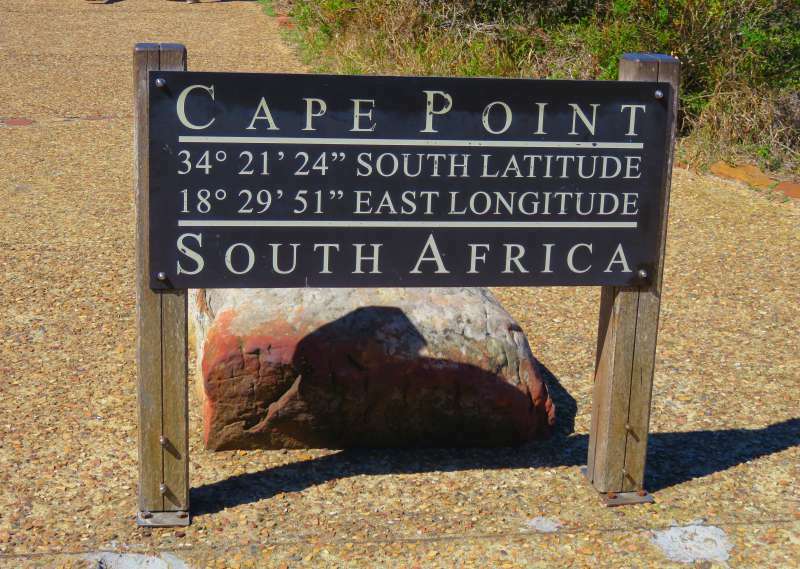 However it is the much better known Cape of Good Hope which struck fear into the souls of early sailors and became the stuff of myths and legends. This is where the story of the Flying Dutchman arose - a Captain who refused to turn back in the face of a terrible gale, thus dooming his ship to sail on forever never making port or finding peace. Today's Flying Dutchman is a funicular railway. It leaves the Cape Point car park every few minutes and takes visitors to Cape Point Lighthouse where you can brave the ferocious winds to look out across the vast expanse of the Atlantic Ocean. My Tip - The Cape of Good Hope is a great place to see wild baboons and ostriches but be careful of the baboons in the car park at Cape Point and don't ignore the advice to keep food out of sight. To read what happened to me when David did ignore this advice click on my post from our trip last year - The Cape of Good Hope - Cape Point, Chapman's Peak Drive and African Penguins. Return tickets on The Flying Dutchman, entry to Cape Point Nature Reserve and a tour of Cape Point Ostrich Farm were all included in our Cape Town Passes. Check the Cape Town Pass directions on how to redeem your Nature Reserve Pass before you arrive there. African Penguins - Did you know Africa has penguins? 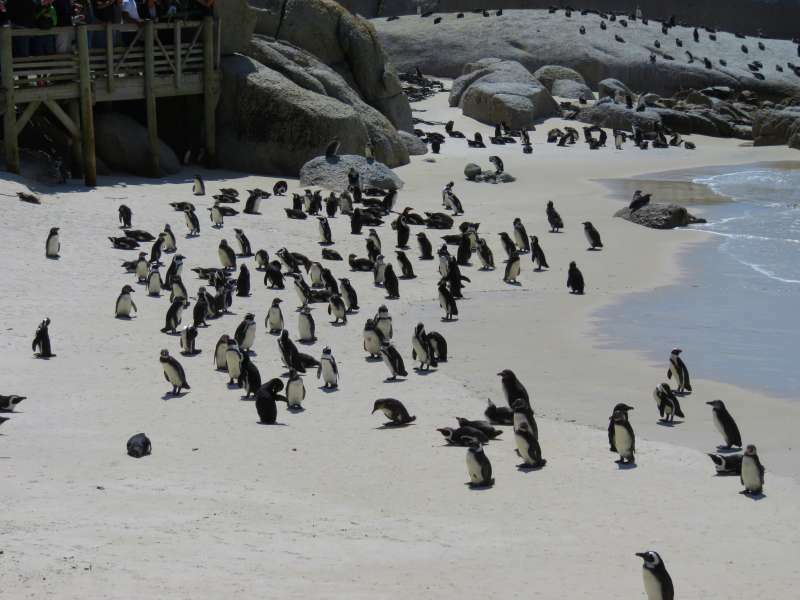 It came as a surprise to me, but there is a colony of penguins at Boulders Beach, Simons Town about half way between Cape Point and Cape Town. There are literally hundreds of tuxedo wearing birds hanging around posing for tourists, as if they are paid extras on a film set. A short boardwalk takes you right into the heart of the colony. Entry to the boardwalk was included in our Cape Town Passes. Muizenberg Beach Boxes - I have a soft spot for colourful architecture. It makes such great photos. 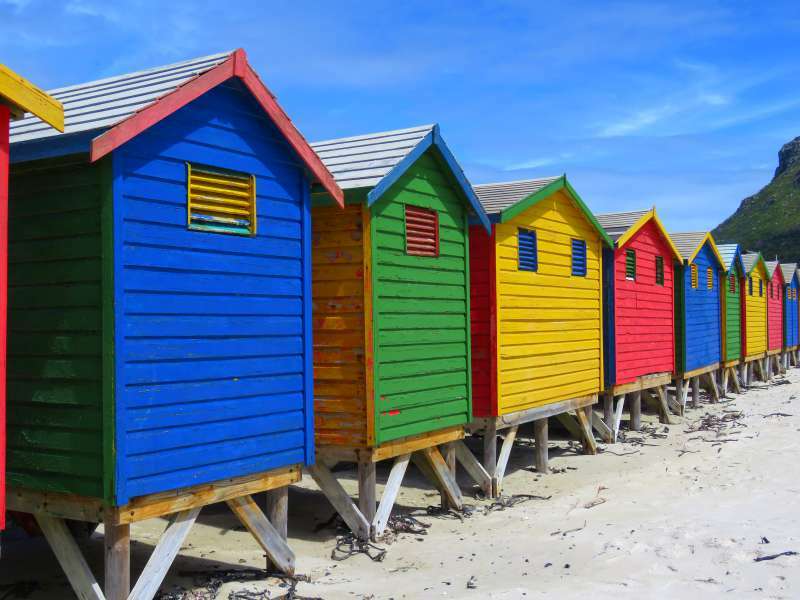 Half an hour north of Simons Town, call in at Muizenberg Beach to see a row of bathing boxes in bright colours looking for all the world like giant lego blocks against the white sand. What is it? Cape Town Pass is an entry pass to attractions throughout Cape Town and its surrounds. For a list of attractions included with the pass click - here. How do you buy it? Cape Town Pass can be purchased online and downloaded to your phone. The Cape Town Pass App acts as both an entry ticket and a travel guide with photos, descriptions and information on the main attractions as well as turn by turn navigation. The directions came in especially handy for David and I when we headed out in completely the wrong direction looking for the District Six Museum. For information on the Cape Town Pass App click - here. You can also purchase a physical Cape Town Pass card if you prefer something you can hold in your hand. How much does it cost? The cost of the card varies according to whether you purchase a Two Day Pass, a Three Day Pass, a Three Day Plus Pass or a Promo Pass. For up to date pricing information click - here. Is it Value for Money? Like all city passes Cape Town Pass is great for tourists who want to pack lots of attractions into their itinerary. Visit the Cape Town Pass website before you purchase your pass to work out what you want to visit and how much you will save. You'll find the standard ticket prices for each attraction on the website. There are also two Garden Route Passes available. Click - here - for attractions along the Garden Route. Note: David and I received complimentary Cape Town Passes. Shamwari Game Reserve - and the fastest animal on the planet. Thank you for taking the time to read my blog. If you enjoyed this post or found it useful please consider sharing it. I always appreciate the compliment. Cape Town flies under the radar as a tourist destination. I don't know why because it is stunning. Cape Town has a very strong Dutch heritage and then of course there is the African influence. I wouldn't say it is like Britain at all. While English is widely spoken, there are eleven official languages and English is not even in the top few. 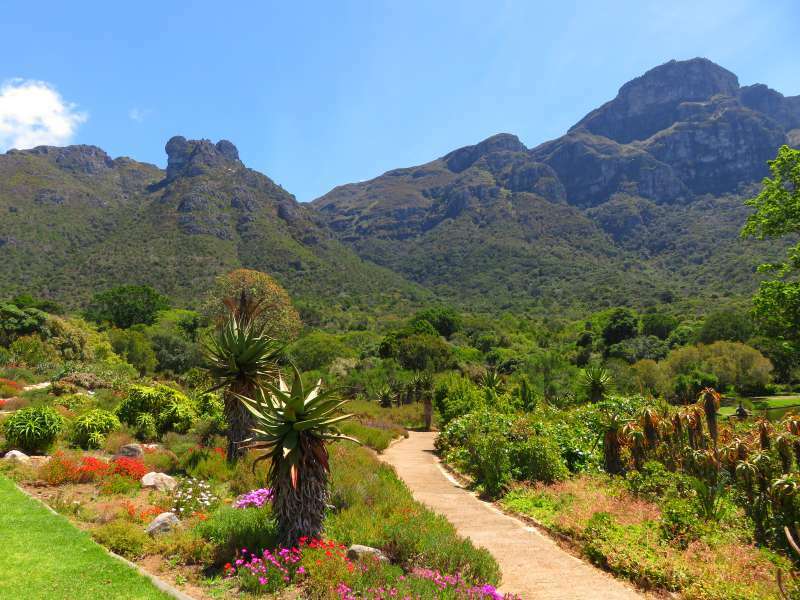 David and I have been to a lot of beautiful gardens around the world and I must say Kirstenbosch is one of the best. It is a great place to visit. This was our second visit and we are already planning a third. I met the guy who set it up. He seems lovely and it is a local operation so worth supporting for that reason alone. Lyn, I am surprised at the diversity and the way you present Cape Town is certainly looks fascinating. 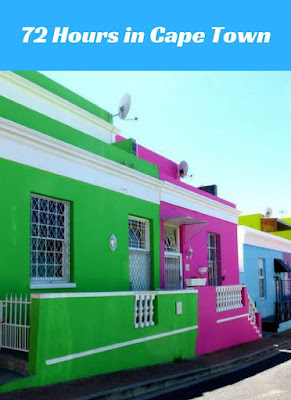 I love the brightly coloured houses and who knew there were penguins? I have a friend going to Cape Town for her honeymoon in February so will definitely share so she knows about the Cape Town Pass. Cape Town is such an underrated destination. It is a beautiful city and really easy to be a tourist in. I couldn't agree more with this guide. I have visited Cape Town twice now and if I would advice first time visitors on what to do on their first visit, your list would be pretty close to mine. I think the Kirstenbosch gardens are the most beautiful botanical gardens I have ever seen. This was our second visit to Cape Town. On our first visit, last year, we didn't get to Kirstenbosch. I had no idea they were so gorgeous. Of course, going in spring probably made them even better than usual. I loved watching the baboons from the safety of the car. Most of the locals we spoke to though thought they were a real nuisance. I have not yet been to South Africa and Cape Town looks like it has a lot to see and do. I love the penguins on the beach. Cape Town Pass looks like it is a good value. You will have to go one day and take in a game reserve or two while you are there. I can recommend a couple. You would be in seventh heaven photographing the animals. Cape Town looks like an amazing city with a lot to do and see! I've seen the Muizenberg Beach Boxes pop up a lot on my social media, but didn't realise that they're in South Africa. I've been a bit wary of South Africa because a college friend of mine did an exchange programme there (I think it was Cape Town, but it could have been Johannesburg) and he got mugged a few times and got his house broken into a couple more times. That was many years ago though - maybe the security situation is better now. Did you guys have any problems? Your friend may have been in Johannesburg which has a reputation for being a lot less safe. David and I felt as safe in Cape Town as we do at home here in Sydney. If you stick to Cape Town and the Western Cape, safety just isn't as issue. We have been there twice in the last two years and just loved it both times. We hired a car and drove ourselves going as far as Port Elizabeth in order to get to game reserves. Port Elizabeth didn't feel as safe as Cape Town but even it wasn't that bad. Cape Town felt safer than Johannesburg, but it is not uniformly safe----just like most cities in the world. We were discouraged from walking alone after dark, even down town. My husband did so and was menaced. Having said that, it was a wonderful place to visit. We were with a guide for some of the time who knew the best (least crowded time) to take the cable car up to the top of Table Mountain. I'm glad we went. I could have used your guide for the cable car. David and I rarely venture out very far on foot after dark when we travel. We travel a lot in the U.S and many places there aren't safe at night. I think most cities have places where it isn't a good idea to go wandering around at night, unless you are a local and know where to avoid. We hear so many great things about Cape Town, but I think we let the distance scare us. This post sure has us tempted to go, though! One day - hopefully soon - we'll carve out plenty of time to really explore Cape Town. In the meantime, we do enjoy your posts! Thanks for sharing them on #TheWeeklyPostcard! I am glad you enjoy my posts. Living in Australia, Cape Town is closer than most destinations for us - only about 17 hours by air including connections at Johannesburg. Haha! You should come to Australia - there is nothing like spending a couple of days on a plane to get somewhere. It is a long way - but so worth it when you get there. Cape Town is most certainly worth return visits. It's so funny to read your post because we were in Cape Town for an entire week and didn't do half of the things on your list, but did other things that aren't on your list. There is an endless amount of activities. Haha - I thought we moved quite slowly. David and I don't usually rush from one thing to another when we travel. Next visit we plan to stay longer. Love your photos, the colours of some of those buildings are so great and bright. I love photographing brightly coloured structures. Cape Town is definitely on my "someday" list - I think it's always been towards the bottom of the list though for one reason - the long distance. I may have to move it up though after seeing your photos - love the penguins especially. Living in Australia, we are used to long distances, so that wasn't as issue for us. It takes us much longer to get to Europe and the East Coast of the U.S. I hope you get there one day. Would love to spend some time in South Africa, thanks for the tips. Great to read in the earlier comments that it is a safe place to visit, as that's something I tend to worry about when I think of S Africa. Safety concerns stopped us from going to South Africa for many years. I think there is a big difference in safety between Cape Town and the Western Cape and the rest of the country. We found the route between Cape Town and Port Elizabeth fine although we didn't feel as safe in Port Elizabeth as we did in the Western Cape and Cape Town. We went to Port Elizabeth and the Eastern Cape to visit game parks which are a bubble all on their own and perfectly safe. I agree with you about the best cities are those which draw us back. While it is fun and exciting to visit new places it is lovely to spend time somewhere familiar. Finally, I know in detail what is do fantabulous about Capetown! Thanks for the tips. We will follow your itin for 3 days but stay 2 more days for more!!! Staying longer is sensible. David and I have decided to stay at least a week next time we visit Cape Town. There is so much to do. Cape Town has it all, and a fascinating history to go with it. Wow - twice in 2 years! It sounds like there is quite a lot to draw you. The Cape Town Pass sounds like a terrific way to see so much of the area. So many things to see; they botanical Gardens, baboons, ostriches, and penguins are on my list now. I bookmark this post for when we go to Africa. Thanks! 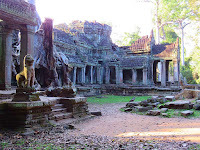 Let me know when you are planning your trip and I will give you lots more information. There is so much to see and do in Cape Town!! I was there in March and barely touched the surface of this magnificent city. All the more reason to return!! We found one visit just wasn't enough. Cape Town is one of the loveliest and more interesting cities we have been to. Would love to visit Cape Town and your post only activated the travel bug further! Go - you'll love it. Your post is absolutely perfect! 3 days in Cape Town sounds like a brilliant plan. In fact, i was talking with my father about making a trip to South Africa - am so glad that I came across your post. Will save this post for future reference :-) Cheers!